Below you can view all the homes for sale in the Rivergate subdivision located in Sandy Springs Georgia. Listings in Rivergate are updated daily from data we receive from the Atlanta multiple listing service. To learn more about any of these homes or to receive custom notifications when a new property is listed for sale in Rivergate, give us a call at 404-998-4017. Master Baths Boast Free Standing Soaking Tubs, Oversized Showers W/ Rain & Handhelds, Double Vanities, Private Water Closets | Two Other Bedroom'S Up Have Private New Baths | All New Re Designed Kitchen W/ Calcutta Quartz Counters, Thermadore Stainless Steel Appliances'S, Wine Bar, Island W/ Seating, New Lighting | New Hardwoods | Vaulted Great Room Perfect For Family & Entertainig | Elegant Dr | Terrace Level Offers Living Room, Bedroom & Bath | New Driveway, Roof, Electrical, Landscaping, Etc! MLS#6523923. Bankston Brokers, Llc..
Drive-Through Garage. Check Out 3D Virtual Tour! MLS#6517489. Maximum One Realty Executives. Terrace Level Also Has 2 Bedroom+2 Bath, Gorgeous Wine Cellar, Pool Access, Kitchen/Wet Bar & 4 Car Garage. Everyone Loves Rivergate! MLS#6516354. Harry Norman Realtors. Full Finished Terrace Level. Resort Style Property. MLS#6504519. Beacham And Company Realtors. Upper Level Bedroom Suites Each W/ Private Bathroom. MLS#6501747. Coldwell Banker Residential Brokerage. 5Br-4 Bedroom & 3 Bath Up, 1 Bedroom (Or Gym)/1 Bath & Fireside Liv Room, Storage On Walkout Basement/Terr Level-Seperate Entrance 4 Nanny/In Laws & Dog Door Ez In/Out. MLS#6122122. 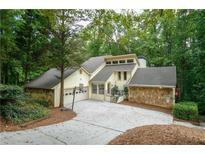 Atlanta Fine Homes Sothebys Intl..
Pool/Guest House W/ Full Bath & Kitchen. MLS#6110203. Re/Max Prestige. Recently Finished Terrace Level With Rec Room, Granite Bar, Full Bath, Wine Room, Work Room, Storage Area. MLS#6060468. Harry Norman Realtors.